Three Stone Emerald Cut Engagement Ring with Emerald Accents - 14k White Gold was added to your cart. I know what you are thinking, but no, this ring did not come from the Emerald Isle or the Emerald City. 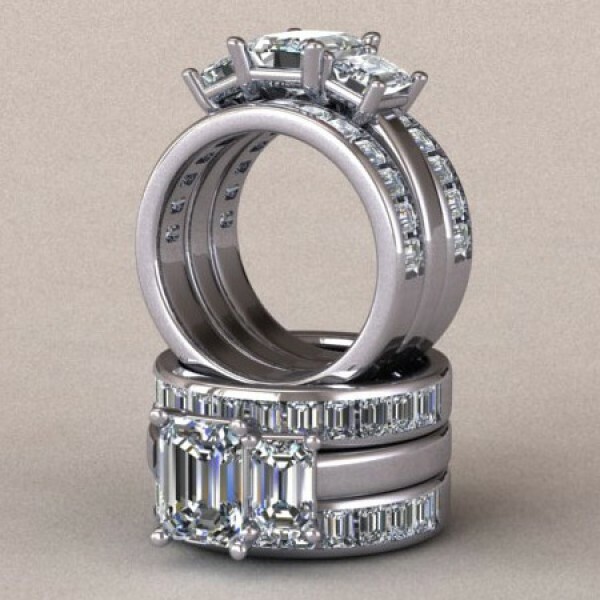 But if your girl really like Emerald cuts, this ring is for her! With over 5 total carats of Emerald cut Diamond Simulants, she will be in aw!